A night at the opera... candlelit by Queen B! I'm thinking that it's pretty tragic that it took a candle order to get me to go to the opera, but there it is... My life is quite tragic in many ways (and deliciously fabulous in others :-)). All I can say is that I regret not going sooner. 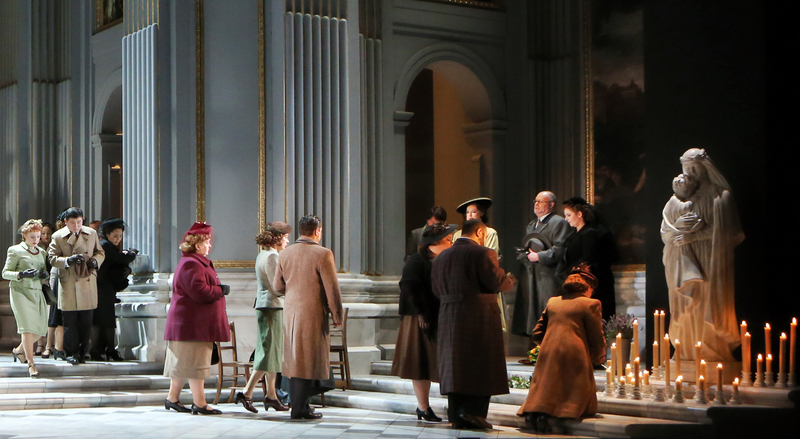 Last night we went to see Opera Australia's production of Tosca and it was extra-ordinary. Let me start at the beginning... see if you can guess whether Tilly was excited or not? Sydney Ferries provided limousine transfer door to door. Why is it that the best photographs are never in focus?! We had a beautiful dinner by the harbour... and then on to the opera! I have to admit up front that while I was very excited to be seeing our candles lighting up Tosca, I was a little less sure about whether I would actually enjoy a whole opera. Sure, I love the operatic aria's. Sure, we listen to classical music at the hive. But I wasn't sure about 3 hours of opera. I'm happy to say I was wrong. I loved it. So did Tilly. Not only was it an auditory feast, but it was a visual feast. The set was astonishing. And I think I appreciated it all the more because I'd been to Opera Australia HQ and been given a quick tour through the carpentry department, metal working department, fibre glass department, costume design, sewing, painting, decorating etc etc and is was just so gratifying to see that it is all being done locally. We may be shipping in entire buildings in shipping containers from overseas, but Opera Australia are building incredible sets in Australia. GOOD. ON. YOU. OPERA. AUSTRALIA. I am tempted to go to more opera's on the basis that I'll be supporting those jobs. I'll be the one in the loges with the 'partially obscured view'... and I'll be loving every second of that partial view! 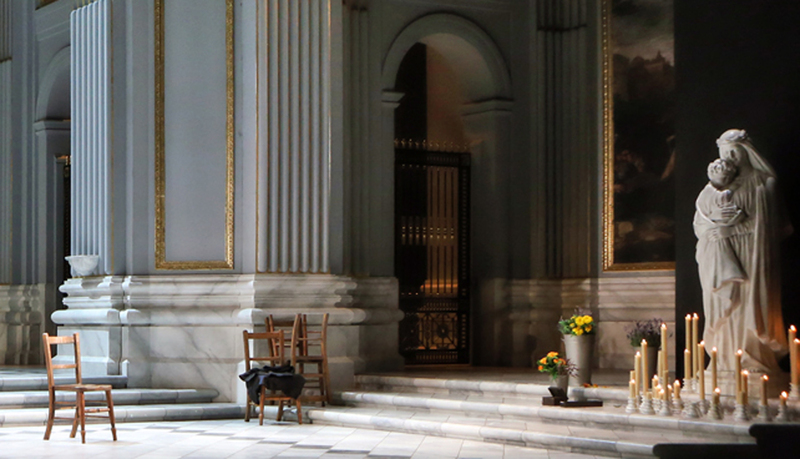 Opera Australia run a behind the scenes tour on Wednesday's for $15 (that's a bargain). You can find more information on their website. and then checking to see that Tilly was also enjoying it!! Phew! It was exhausting. And I'm happy to report that they didn't appear to drip, that they were upright, that you could tell a real candle from a fake and that Tilly enjoyed himself! Acts 2 and 3 were a little more disappointing relaxing because there were no Queen B candles burning. I'm thinking that the Australian Ballet may need to commission us next. I'm dying to see a ballet. The ticket that I bought for Tosca (and gave away on Facebook) in the loges was $67.50 (+booking fee) which really in the general scheme of how incredible the production was, the talent, the set (and those candles) makes it an affordable investment in the Australian arts, your own edification and a great night out. We're giving away 2 Tosca pillars in a competition in the next Opera Australia newsletter, so head on over to the website and register for the newsletter and be in the running to win. 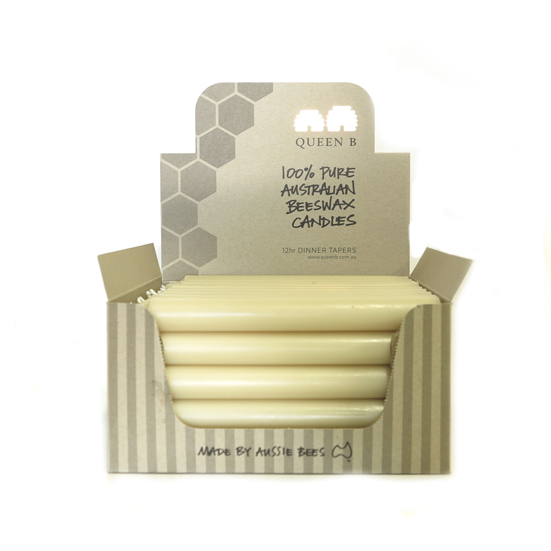 This entry was posted in Beeswax Candles & Candle Making, Queen B Products and tagged tosca, opera australia, candlelit opera, behind the scenes tour, a night on the town on July 18, 2013 by queenbcandles. The journey from unhappy customer to happy customer - it's all in the detail! I absolutely love your candles, thank you! I'm hoping you can help me with the dinner sticks I have a box of. They look great on my table, however I find I've stopped using them because I can't stop them from dripping onto the table. Any tips to make them dripless? I trim the wicks regularly. I'm hoping there's a solution so I can start using them again as they burn so beautifully. What a sweetheart. Moment to reflect on how lucky we are to have customers who are beautiful on the inside (and out). Thank you so much for your email... it is only if a customer raises a concern that I get the opportunity to fix it. I burn the tapers myself every evening. Have done for years. So I know from first hand experience that they are dripless when they are burned in a draft free environment. If they are dripping, then there must be a draft... be that from open windows, air conditioning, central heating, fans or simply a drafty house. I would try moving one to a spot that you know is draft free and burning it there. That won't help you with having them burning on your table, but at least it will convince you that they are genuinely drip free when burned in a draft free environment! In terms of then coming up with a solution for your table, well, if there is air movement in that area, then you are never going to get a taper (dinner stick) that doesn't drip. Unfortunately because they are so narrow, there is little room to play with choosing a wick. So, in that case, I'd suggest either trying the Bee Lights (although they tend to drip in a breeze too for exactly the same reason) OR I would try the solid pillars... which are also great bang for your buck. The 15cm Solid Pillar and 20cm Solid Pillar are a great simple candle that you can simply sit on the table or on a ceramic holder or a tile or something else. They are good for burning for anything over an hour at a time. The Squat Pillar is good for burning over 2 hours at a time. Please keep me posted with how you go burning the tapers in a place where there is no breeze. In order to determine if there is a breeze, simply watch the flame... if the flame is "dancing" then there is a breeze. If the flame is still, it will burn perfectly top to bottom without a drip. Promise. You're absolutely right, thank you! I've tried burning them in a different spot and they're beautifully dripless! It's a bit silly I didn't think of that, sorry. I was burning them on our kitchen table, which is surrounded by windows and a door. They look amazing there, but sadly that spot doesn't work due to airflow. I have your pillars already, which I've put there instead. Thanks very much, Cate. I'll be in to purchase more soon, I'm sure! 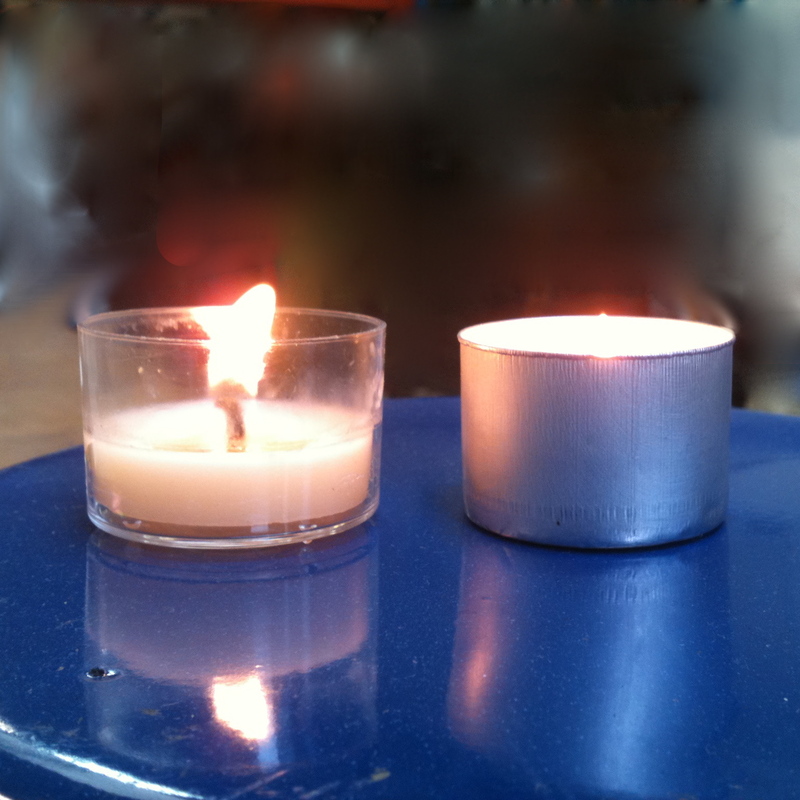 It seems to be a week of posting tips for beeswax candle use and better burning! What I learned from my last post is that that's pretty useful for lots of people. 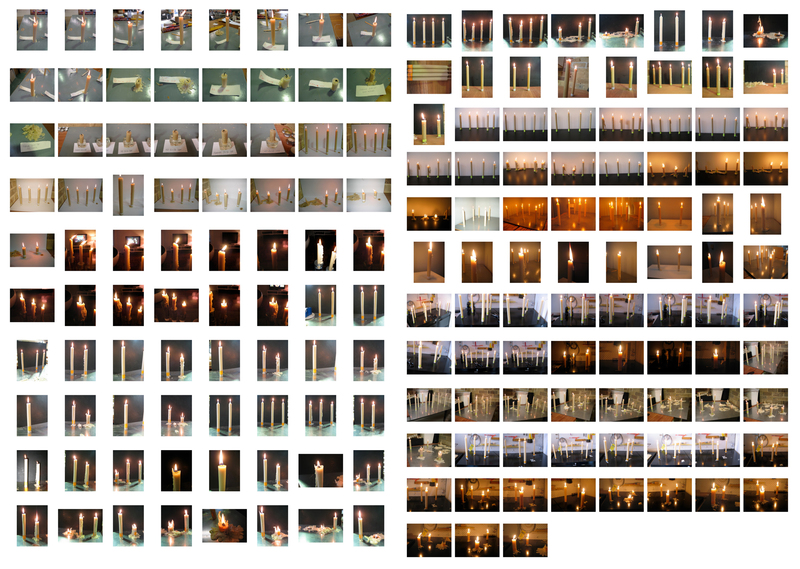 I also thought it might be interesting to share just a small selection of the photographs from when I did the wick testing for our tapers... and wow, the memories it brought back. 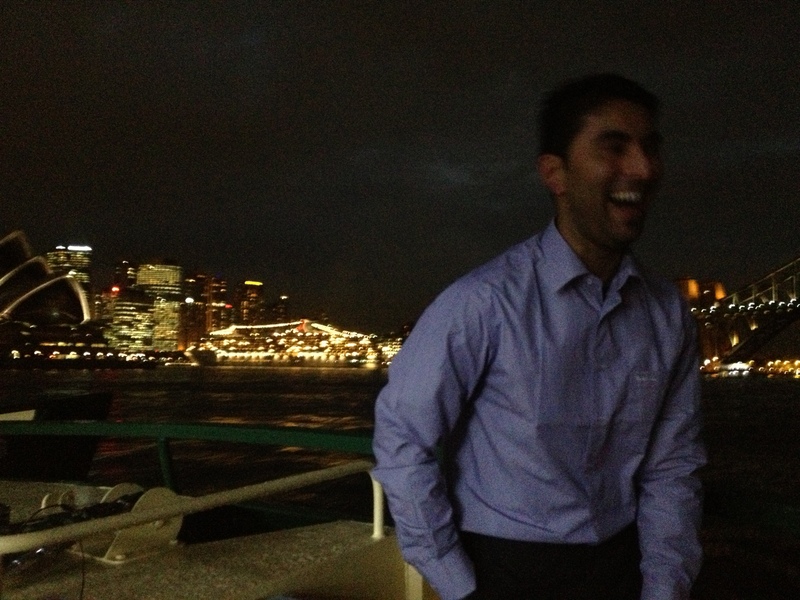 There are no duplicates in this image (created with the help of iPhoto and my very limited photoshop skills!). and this from a woman who doesn't really drink beer! PS While we're at it, if you have any issues with burning your Queen B candles or tips, please let me know by commenting below, commenting on facebook or emailing me. This entry was posted in Beeswax candles, Beeswax Candles & Candle Making, Business Musings, Queen B Products and tagged you can tell a lot about a woman by her hands, wick testing, vic bitter, tips for better burning, taper candles, non drip taper, dripping tapers, dinner candles, bitter, beeswax tapers, beeswax candles, a hard earned thirst on July 17, 2013 by queenbcandles. Apart from her lovely feedback (which warms our cockles in a building that doesn't get much over 8 degrees celcius throughout winter) I had to laugh because I'm a 'boiling water' cup cleaner. I think it's because I learned by cup cleaning habits with our votive glasses (and its so easy just to sit them in a tray of boiling water... and as soon as you see the wax turn white on the edges you can just scoop it out with your finger). I'm not sure whether this cleaning tip would work with glass. But it is genius for the our beeswax tealight candles in clear cups. If you have a clever tip, please never assume I already know about it! Sometimes I'm so deeply in tune with the 'trees' that the view of the forest evades me! Thanks again to Barbara for a genius tip. Please feel free to share any you might have by commenting below or emailing me. This entry was posted in Beeswax candles, Beeswax Candles & Candle Making, Queen B Products and tagged tips from clever customers, tips, tealights in clear cups, cleaning tealight cups, can't see the forest for the trees, beeswax tealight on July 15, 2013 by queenbcandles. 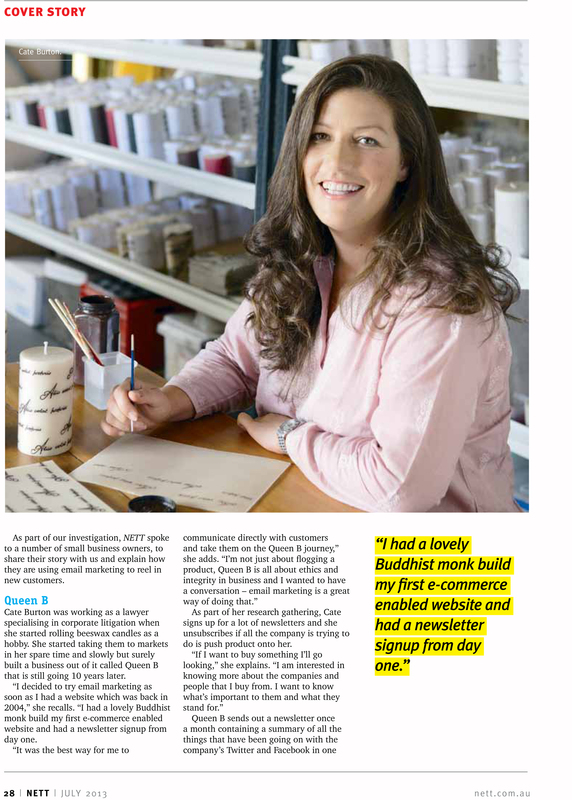 Nett magazine article about email marketing - featuring Queen B! A few months ago I approached by Nett Magazine on advice that I would give other small businesses about email marketing. I had lots to say!... I think it is a privilege to have access to someone's inbox and it is a privilege that I am always conscious not to take advantage of. I think I break most of the 'rules' of writing a good newsletter (or 'blog') by being too verbose, but then again I dislike rules and I think it is more important to be authentic! I am verbose. I am passionate. Nothing about Queen B is fickle or done without a huge amount of thought and I believe that knowledge is power and so I try to make what I write 'powerful' in terms of it being educational. If you're interested in reading the full Nett article about email marketing click on this link - 201307 Nett magazine. For those of you who are more visual, there's a page shot below. Just to preempt any comments, yes, I do look different when I've had my hair and makeup done! Wishing you a very happy weekend - hopefully at least some part of it will be beeswax candlelit. This entry was posted in Business Musings, Media, Queen B Media and tagged small businesses, privilege, newsletters, nett magazine, marketing tips, email marketing on July 12, 2013 by queenbcandles. I can honestly say that this is one of my most exciting posts in years... we've given the Queen B brand a smart new look and we've overhauled some of our packaging. Back in my corporate days I was used to having a marketing team, advertising agency, design agency (yes, they're different! ), Global Brand Team, brand bible and a pretty hefty budget to keep things looking fresh. At Queen B there's, well... me taking on these various roles (although for this overhaul I did engage a snappy young designer to help). Whilst the process was, let's say, time consuming, at times traumatic, and expensive (we've had it all printed in Australia, with soy ink, on 100% recycled, FSC certified card! ), I am absolutely delighted with the results. So, with no further ado... drum roll... I launch our new look and some of our new packaging... with a few never seen before offers to help us clear the shelves of the existing packaging which has served us well until now. [Because we hate wastage, the new packaging look is being rolled out as and when we run out of existing packaging, so this will take a little time]. The first piece of packaging to get the overhaul was our tealight boxes. 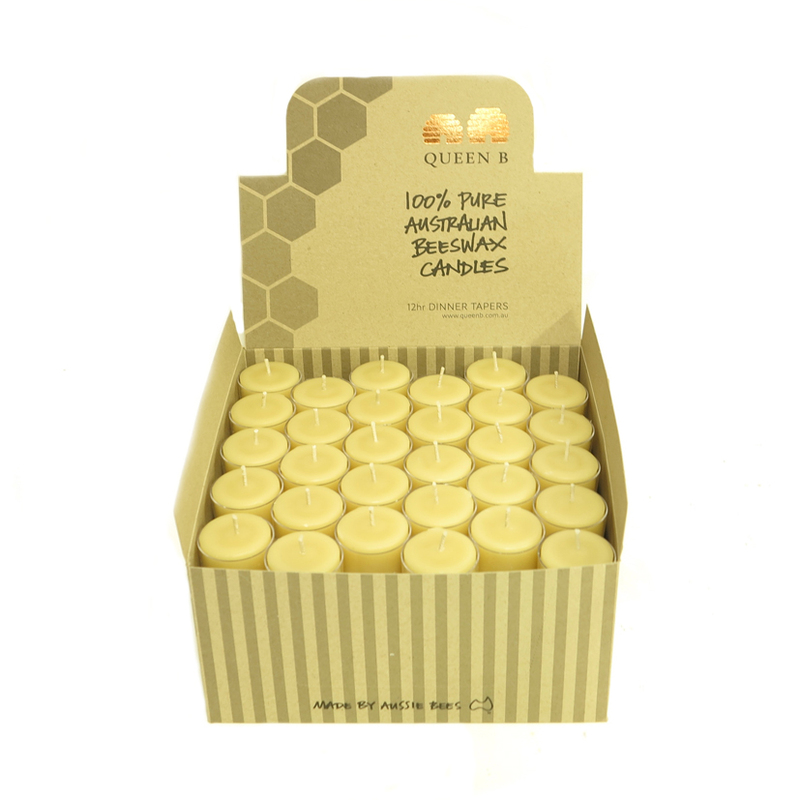 To help us roll out the new look as quickly as possible, we're offering Buy 2 Get 1 Free on our Box of 9 x 4-5 hour Beeswax Tealight Candles and our Box of 9 x 8-9 hour Beeswax Tealight candles in the 'old' packaging. Simply place your order online and write Buy 2 Get 1 Free in the Comments field as you check out. Available until we run out of existing stock... or 72 hours... whichever happens first! We'll keep you updated on Facebook. Our second piece of packaging to get a whole new look is our Jam Jar Tealights packaging. While we tested the popularity of the product (it is overwhelming!) we were using a box bought 'off the shelf'. With it's popularity cementing its position in the Queen B range, we have been able to design and print our own packaging and best of all the cost is around half of what we were paying. We're also getting the jam jars in such huge quantities now that their cost is also around 30% down. And the good news is that that has allowed us to lower the price of the 2 Jars + 8 candles to $24.95 (which is almost 20% off the previous price) and we've created a new box of refills - 10 Jam Jar Tealight Refills for a smashing $24.95. To help us roll out the new look as quickly as possible, we're offering Buy 2 Get 1 Free on our Jam Jar Tealight Candles (box of 8 candles with 2 jam jars) and our Jam Jar Tealight Refills (box of 15 refills) in the 'old' packaging. [Note the Box of 15 refills will be gone once we've sold this stock... replaced by the box of 10 refills]. Simply place your order online and write Buy 2 Get 1 Free in the Comments field as you check out. Available until we run out of existing stock... or 72 hours... whichever happens first! We'll keep you updated on Facebook. That's the end of the special offers, but not the end of our new look packaging. 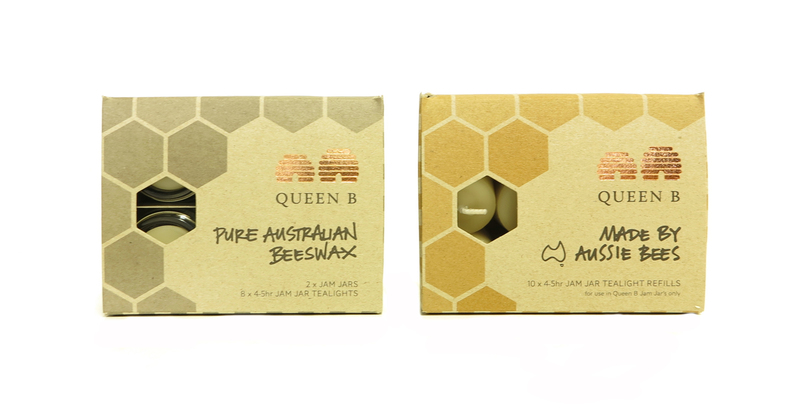 We've also got 3 new Point of Sale boxes for our retailers to sell Queen B bee created light by the individual candles... available at quality retail stores soon! Pure beeswax tealight candles in clear cups - buy 1 or buy the whole lot! Please note that the special offers are our way of thanking your for "Liking" us on Facebook and/or subscribing to our newsletter and/or getting our blog feed. The offer is only available if you write "Buy 2 Get 1 Free" in the Comments field on check out and only available while stock lasts or for 72 hours. We'd love your feedback on the new look and packaging if you have any thoughts. 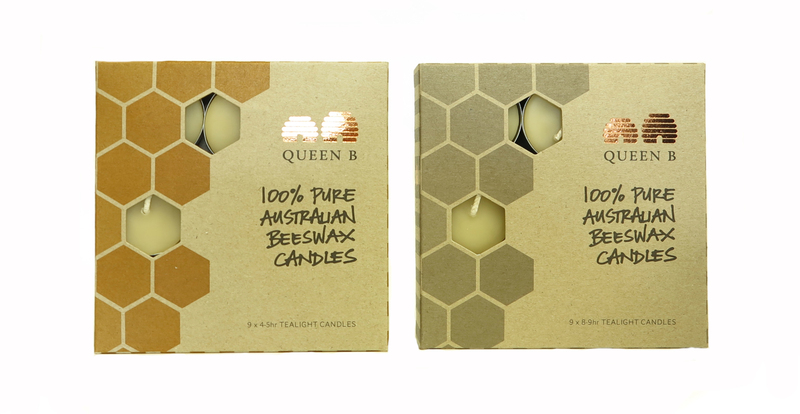 This entry was posted in Beeswax candles, Beeswax Candles & Candle Making, Business Musings and tagged sustainable packaging, non toxic candles, new packaging, new logo, natural candle, eco printing, eco packaging, beeswax candles, bee created light, Australian made on July 9, 2013 by queenbcandles. 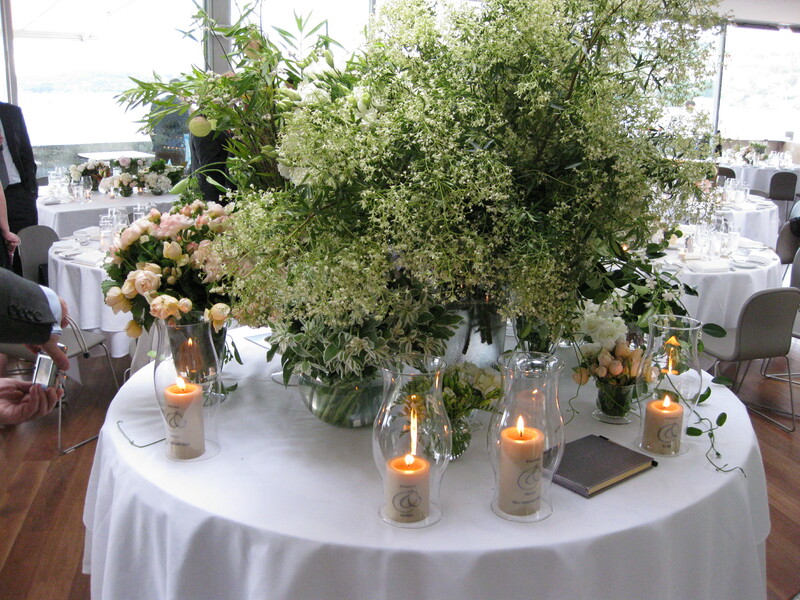 When one of the original team behind Earth Hour organised her wedding, the eco credentials of all the partners that went into making her day magic were critical. Being a bit of a style maven the look was just as important. 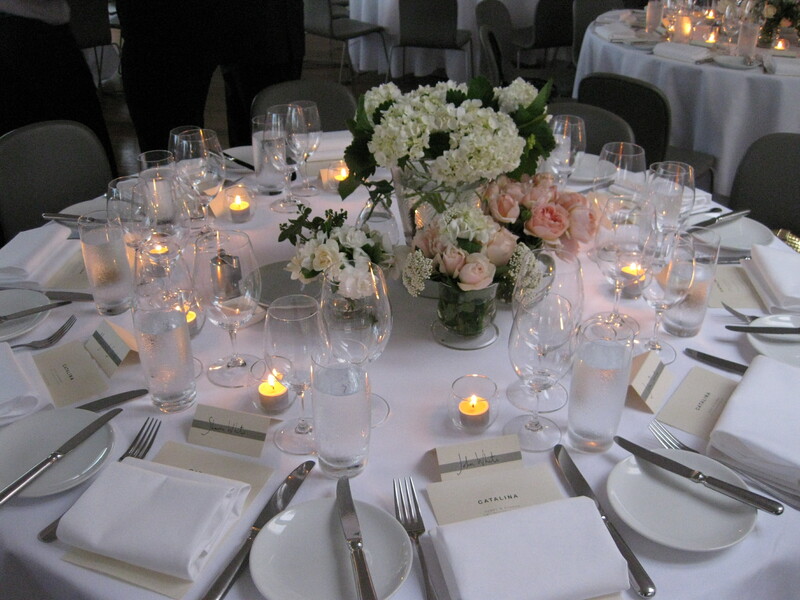 She came to us wanting the candles to be the centrepiece of every table. 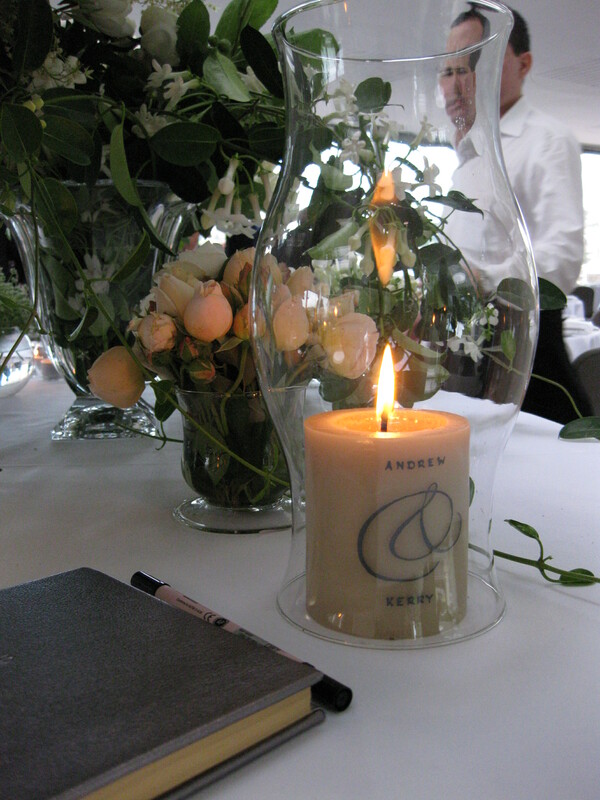 Rather than volumes of flowers thrown away at the end of the night, the bride opted to keep the table decorations very simple with one of our large honeycomb pillar candles in the centre of every table and a smaller beeswax pillar candle at each place serving triple duty - bomboniere/wedding favour gift, place holder and ambience creator. 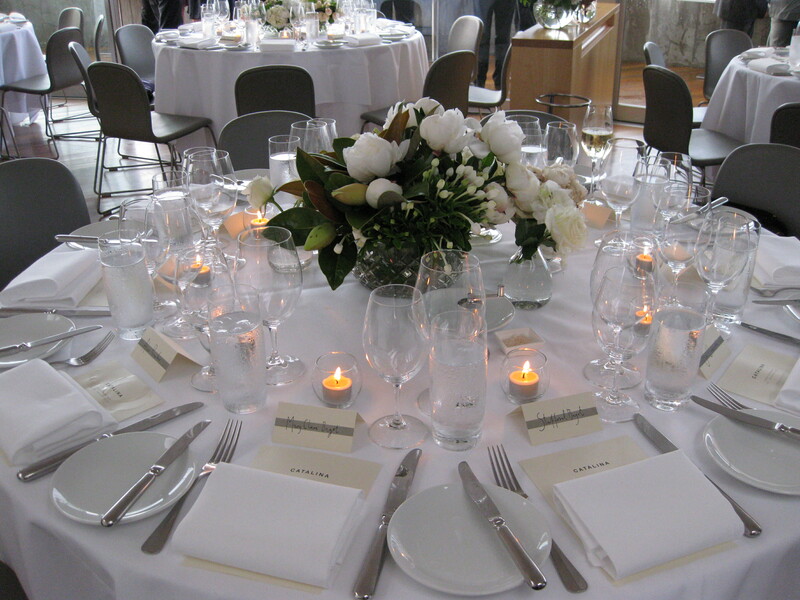 Using candles as the table centrepiece is an idea that is a fraction of the cost of what many brides spend on flowers alone and then had an abundance of candles left over on the night to light up their honeymoon (and probably about the first 5 years of married life given how long our beeswax pillars burn for)! 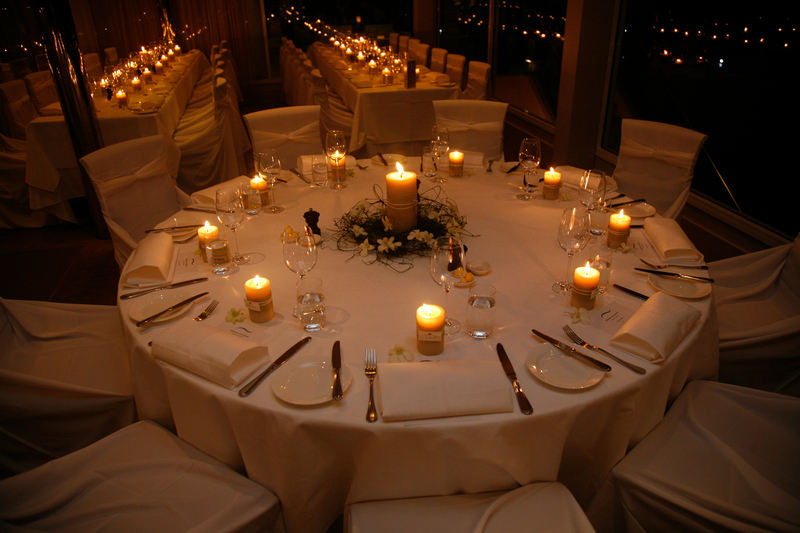 Our bride had the venue turn the lights to their lowest setting to allow the candles to create a magical and romantic ambience on the evening. Look at the incredible warm glow created with all those golden, bee created flames. 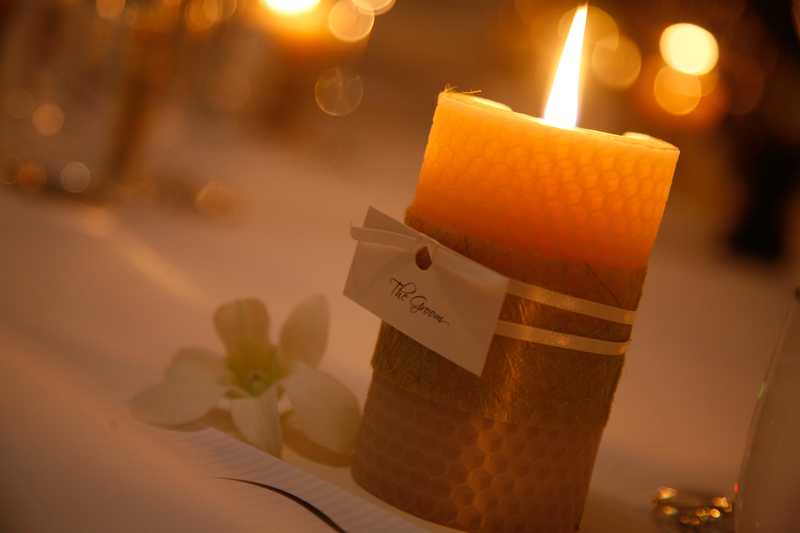 Each hand-rolled, pure honeycomb, beeswax pillar candle was wrapped with twine and a place card for each guest... a bomboniere gift for them to take with them at the end of the evening. As a bride said to me once, every time one of our friends lights their wedding favour candle they'll be thinking lovely things about us and you can't buy that sort of karma! If we’ve lit your wedding or event (no matter how big or how small) and you have beautiful, professional quality photographs showing the candlelight on the occasion that you’d be happy for us to share, please email them to me and we’ll give you a $25.00 credit on your next order. We’re also happy to provide credit to the photographer. This entry was posted in Beeswax candles, Beeswax Candles & Candle Making, Wedding candles and tagged wedding table decoration, wedding table centrepiece, wedding ideas, wedding favour, wedding candles, eco wedding, bomboniere on July 8, 2013 by queenbcandles. Another day, another amazing event lit with bee created light from Queen B! 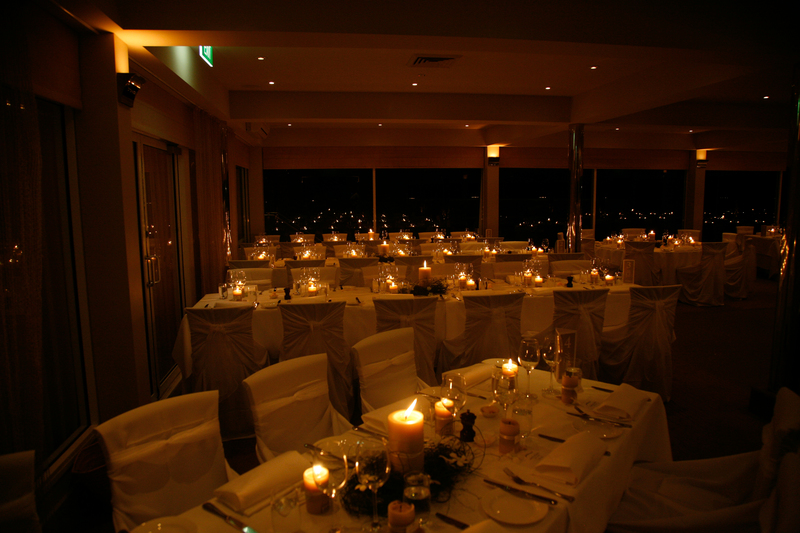 Our brief for this occasion was to light a luxury, eco wedding at Catalina, Rose Bay. Flowers by Grandiflora. 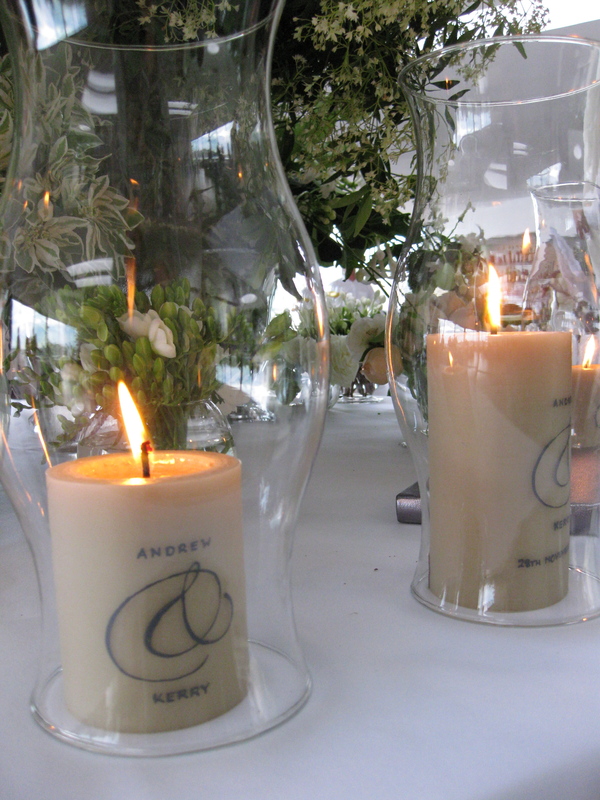 Firstly, we created bespoke candles for the bride and groom featuring the design on their wedding invitation. 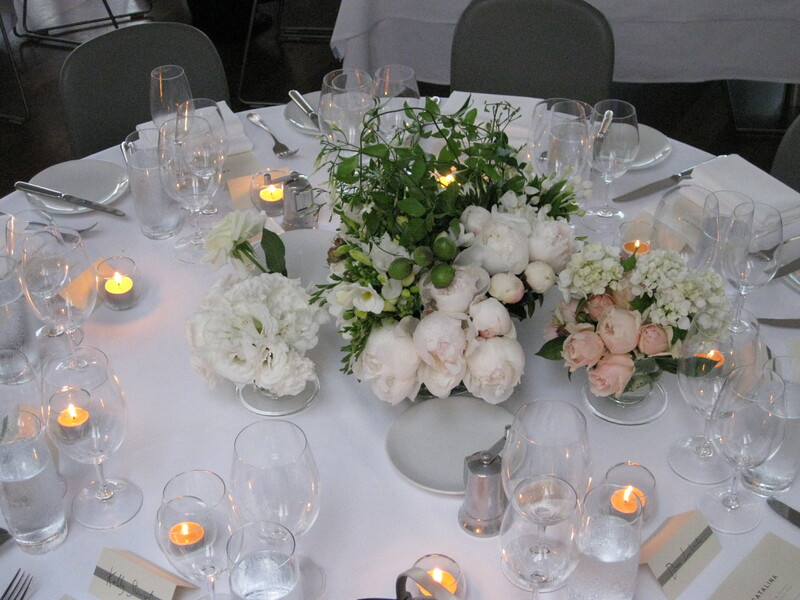 We made 4 candles in total which were placed with a large floral feature as guests walked into the venue. 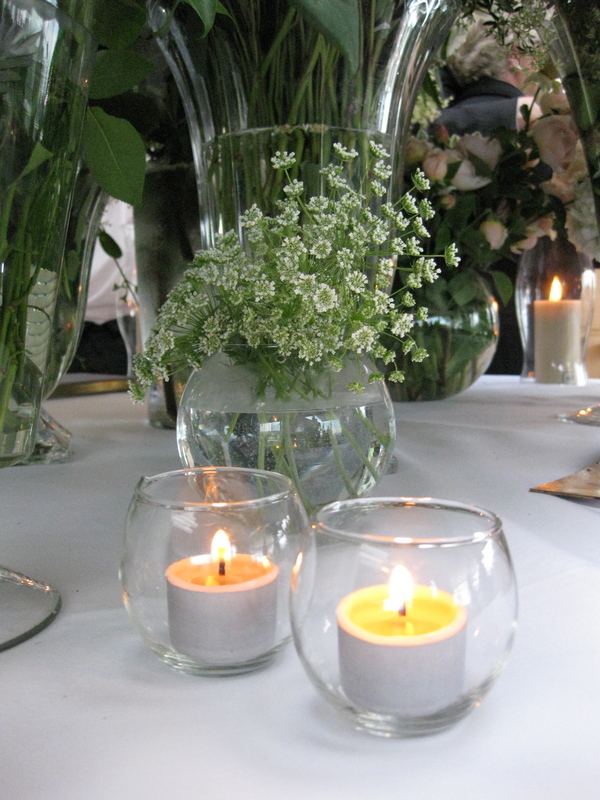 Wedding table centrepiece flowers + ring of beeswax tealight candles in mini fishbowls. More wedding ideas. 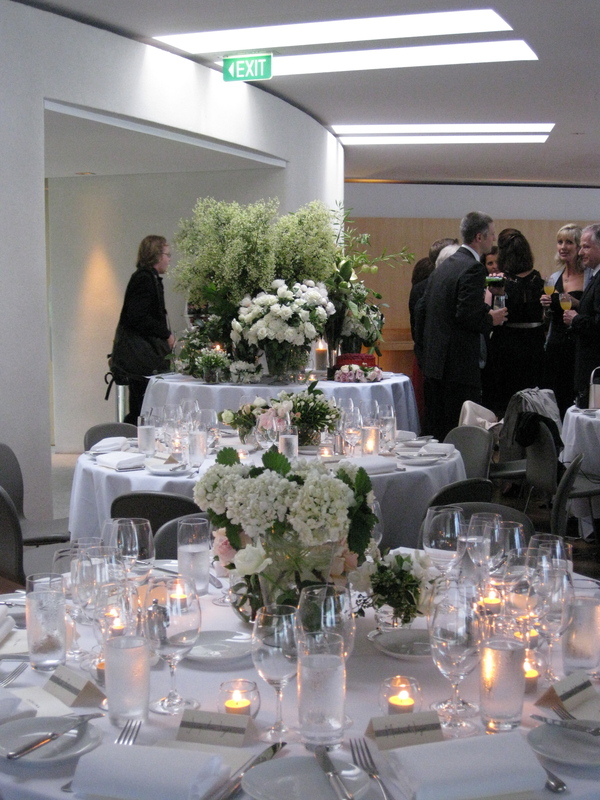 Wedding table centrepiece ideas - for your eco friendly luxury wedding. Eco wedding supplies and gifts. The simplicity of nature - bee created light courtesy of pure beeswax candles from Queen B and gorgeous flowers (pollinated by bees)! Funnily, my last boss (the lovely one who thought I was mad for giving up my well paying job to do Queen B) was at this wedding and seated next to a guest who upon seeing the candles burning recognised them immediately as being pure beeswax and started raving on about these 'Queen B' pure beeswax candles that she buys online etc etc. He was proud as punch! That was only two degrees of separation to a customer I had never met before but who had bought online for years. It's lovely how things come full circle. If you're organising an eco wedding or sustainable event and you're looking for ambience that packs a punch and unique ideas, give us a buzz. 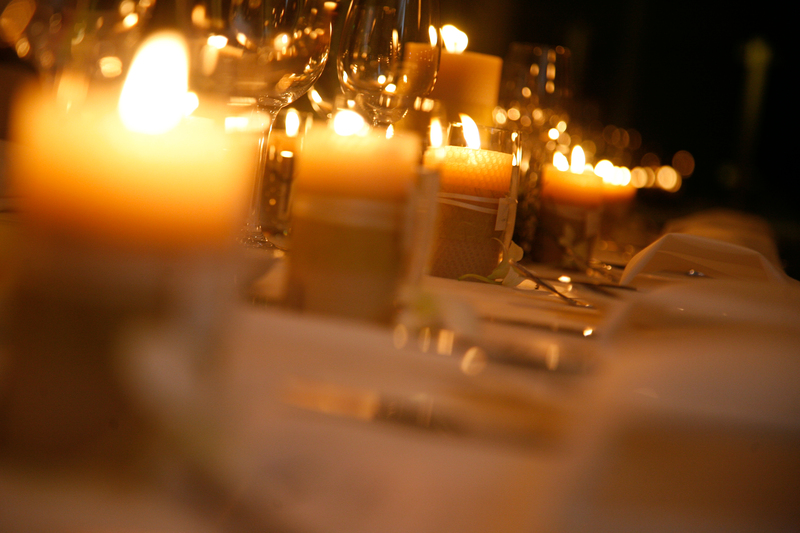 As an Australian manufacturer we can move fast and you can rest assured that you're hard earned money made a difference many times over - not just to creating an unforgettable event, but to the jobs supported by buying Queen B candles. This entry was posted in Beeswax candles, Wedding candles and tagged wedding unity candle, wedding ideas, wedding centrepiece, unity candle, table decorations, table centrepieces, eco wedding on July 1, 2013 by queenbcandles.